The first Sunday of each month we celebrate communion with an offering for faith-based mission organizations. January - Presbyterian Pan American School – a Christian college preparatory school, located in Kingsville, Texas, that educates and empowers young adults primarily from poorer regions of Mexico. Donations included 25 bags of needed items, several monetary gift cards and $150 in cash. February – Souper Bowl of Caring benefiting North Dallas Shared Ministries with both non-perishable canned goods and money collected for North Dallas Shared Ministries Food Pantry. Donations included 45 bags of needed groceries and monetary donations of $140. 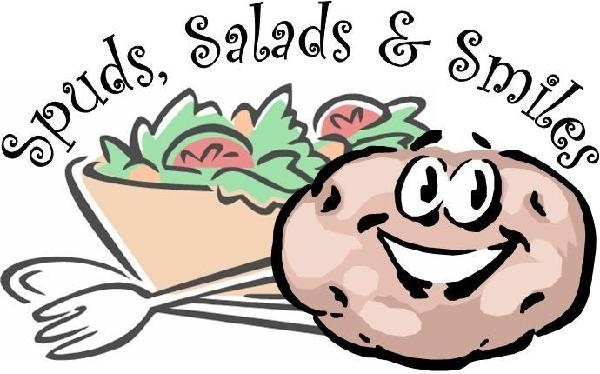 March – BTPC Senior Ministries - Donation to support our monthly “Spuds” program that provides lunch, special lectures and good fellowship for our senior congregational members. Monetary donations collected were $695. April – One Great Hour of Sharing - PCUSA offering that is divided between Presbyterian Disaster Assistance, Presbyterian Hunger Program and Self-Development of People Program. The focus is on Restoring Hope, Reducing Hunger and Investing in People to alleviate injustice. Monetary donations collected were $840. 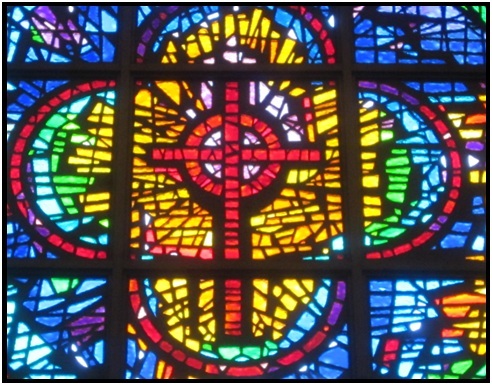 May – Pentecost Offering - PCUSA offering dedicated to support faith building opportunities for our youth, young adults and children at-risk. Our conngregation donates our portion of this offering to Presbyterian Children's Homes and Services. Monetary donations collected of $567.00 to support PCHAS children & young adult ministries. 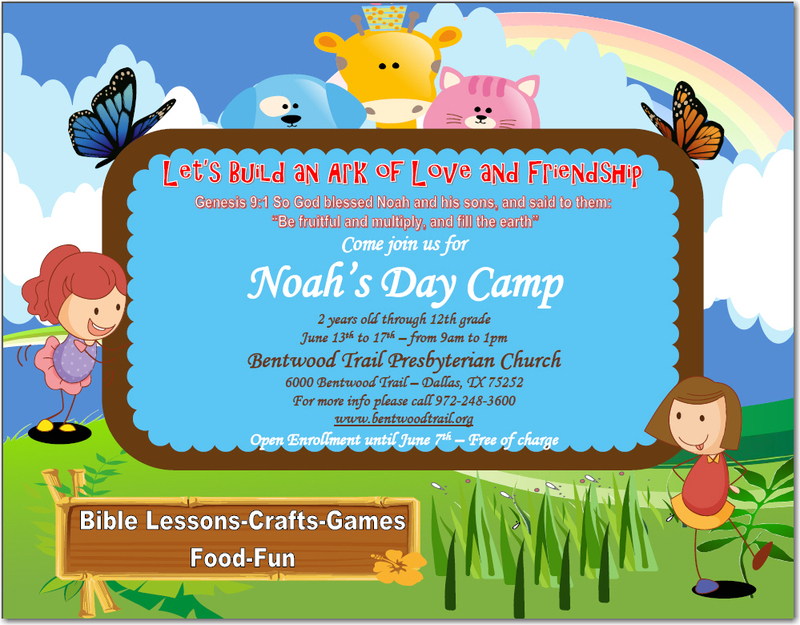 May - Bentwood Trail Vacation Bible School ( Noah’s Day Camp) - Donations to support our Summer Vacation Bible School program for children ages 2-18. Monetary donations collected were $900 and several needed items including water, school supplies and snacks for 35 children. Free luncheons were also included. June – New and gently used shoes for The Shoe Bank - The Shoe Bank had just one goal when it was founded in 1989, to put comfortable shoes on a few hundred homeless men living on the streets in downtown Dallas. The program today provides shoes for twenty-five thousand people every year – primarily children, both here and abroad. Donations collected were an incredible 200 pairs of new and gently used shoes! July - Agape Resource and Assistance Center Donations to support Agape, located in Plano, Texas, began in 2013 as a holistic, innovative servant ministry of peace, and justice committed to provide housing and transformational support services to homeless women, moms and their children to empower them to move from crisis and poverty to fulfilling self-sustaining lives. Donations included several bags of needed household items in support of their Summer school program for their children. August - Encounters with God Ministry - Donations to support this primarily Hispanic ministry for all needed school supplies for their children for the upcoming school year. BTPC sponsored 27 children and youth by donating needed Back-to-School items. 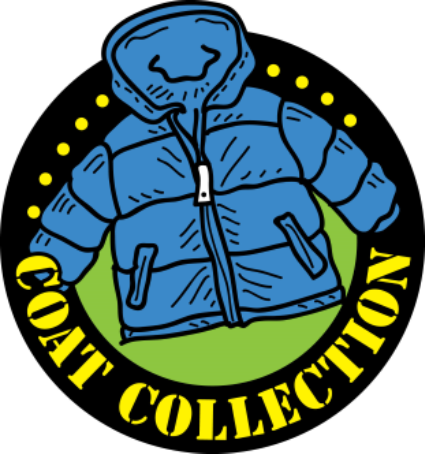 September – Winter coat drive. To be distributed as needed to local ministries BTPC is collecting donations of: Men, Women and Children's New and Gently Used Winter Coats, Gloves, and Hats and New Socks. Donations included more than 25 winter coats, 45 pairs of gloves, 55 pairs of warm socks & 25 sweaters & scarves. October - Habitat4Paws an animal rescue organization in North Texas whose main mission is to rescue and find permanent homes for dogs and cats while caring for them in a volunteer staffed adoption facility and foster program. November - Bentwood Trail Annual Congregational Stewardship Pledge of Time,Talents and Financial Ministry. December – PCHAS Angel Tree - Gifts for Children and Group Homes - For 110 years, Presbyterian Children’s Homes and Services (PCHAS) has been heeding Jesus’ call to care for children and families in need. Through our continuum of care, we help children and families move from despair to hope, equipping each child and parent to reshape their future in ways previously unimagined.